If you listen to this episode you don't have to go to film school. Our guest this week is Daisy von Scherler Mayer. You may know her best for her "debut tour de force" Party Girl. She is a prolific television director who has worked on everything from Mad Men to Orange Is The New Black. 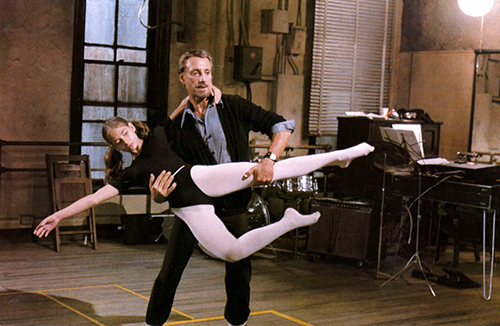 The movie she has chosen to talk about this week is one of her favorite films, Bob Fosse's All That Jazz. Daisy takes April through exactly how this film has influenced her life, and even names specific scenes she has stolen from the movie (a practice she heartily encourages for film students). Daisy does a wonderful job of explaining how she speaks to actors and creates a supportive environment for them. This episode is also particularly enlightening as Daisy and April really get into the creative process and the emotional rollercoaster it can be. She also discusses the genius of Bob Fosse and how he was able to create a "perfect film." This episode is required listening for anyone who wants to be filmmaker. Take notes during this one. Check out the trailer for Party Girl. And if you haven't seen it yet, go watch All That Jazz. With April Wolfe with Daisy von Scherler Mayer.